Ben Nabors' film follows the attention given to William Kamkwamba after being thrust into the spotlight of the energy debate when he builds a power-generating windmill from spare parts. 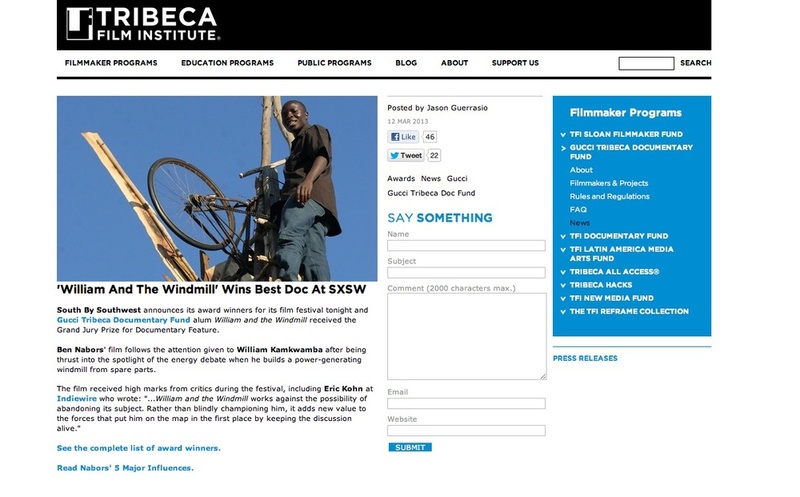 The film received high marks from critics during the festival, including Eric Kohn at Indiewire who wrote: "...William and the Windmill works against the possibility of abandoning its subject. Rather than blindly championing him, it adds new value to the forces that put him on the map in the first place by keeping the discussion alive."